Instead I shall be entirely selfish and have a posting based purely on my own opinion on what is happening in and around Plymouth over the coming months. It seems we are in a state of war. First verses the rest of the world, but in particular Plymouth Citybus, aka Go Ahead. PCBs Tavistock fares were announced as £4.50 SINGLE and £6.10 return (First have been £6.20 return). So First are going to be every 20 mins and £4.50 return - PCB are going to be every 30 mins and £6.10 return. Both using leather seated E400s? That could be interesting!!! Once all the new timetables are published, which wont be long now, we will have a good look at these Tavistock services but its clear that First are fighting back hard on their core route. Will we see Citybus match the fares, or at least get a lot closer? I have heard many suggestions that the new First fares are “suicidal” but I guess that depends on how long the low fares last and how many passengers they retain from Citybus. Whatever the case it will indeed be very interesting. It does seem that First have covered Citybus having brand new luxury DDs by utilising the 12 Reg Park & Ride fleet (very strong rumours from several sources suggest this is the case). This in turn might annoy passengers on the Park & Ride services and maybe even the City Council but as a commercial service First are free to use whatever buses they like. You can see why it makes sense for First to use them on Tavistock duties but it does raise lots of questions. Why have First left this service unloved for so long? Even when they took the opportunity to invest a few years back they choose to stick leather seats in a few buses and paint them purple. Sadly for everyone they chose the awful Volvo B6BLEs with the most uncomfortable hard seats for which the leather does nothing at all. They do look really smart though from the outside! You just know that if the Plymouth – Tavistock services were run by Stagecoach it would be very different indeed! They have a strong record of investment in buses, something which First as a national group have failed in big time. They are trying hard to catch up now in some areas but Plymouth is not alone in having an aging fleet. The mention of Stagecoach brings me to another question that I am struggling to answer. One thing I am proud of with Plymothian Transit is that it has become a forum where transport issues can be discussed freely and there have been some very strong views expressed on both sides of the Citybus v First debate. Unlike the comments on The Herald web site which often turn abusive the comments left here have generally steered clear of abuse (just!) for the sake of it. It is clear that many people on either side are very passionate in their arguments. I am sure in many cases because their jobs may be on the line if either side fails. I was going to illustrate my point with a few of the comments left but I don't want to make it look like I am picking on anyone for their opinions. Just have a look back through the comments on the last few weeks worth of posts. It does seem that many of these comments are pro-First and anti Citybus at the moment. Its not a big imbalance as their are plenty for Citybus too but it seems that many of you are hoping for a robust fight back by First and expecting Citybus to get a bloody nose! What I don't understand is how Stagecoach are getting away with it? Within a few days back in July we had a big announcement that Stagecoach were launching a massive fight against First on the Plymouth – Torbay corridor with brand new double decker buses. Just two days later we get Plymouth Citybus doing the same but on a lot less ambitious scale against First on their Tavistock corridor followed by a much smaller battle on the Torpoint services. The response by First to these two sides of attack could not have been more different! Immediate surrender to Stagecoach while taking the fight to Citybus. It is clear that quite a few drivers jobs will go as result of giving up on the X80/81 yet there has been a complete lack of hostility against Stagecoach with all the anger directed at Citybus / Go Ahead! Why? One other thing which is noticeable at the moment is the anger against First cutting back some of their Plymouth services in order to concentrate the fight against Citybus. In particular the withdrawal from Mainstone on the 15 which leaves a large estate with no service at all with no hope of Citybus directing any buses that way either. I do feel sorry for First here as its clearly not an area which is going to make any bus company any money. When First introduced new Ugobus service 15 it surprised a lot of people (including Citybus) as it was the only route which offered anything different to what Citybus were already running. It also gave Citybus the excuse for pulling out of Mainstone, which was pretty inevitable at the time but saved a lot of grief for Citybus. It still amazes me that the 15 has lasted this long into Mainstone even if it was cut back over the last few years. A lot of attention is being placed on Go Ahead being the aggressor here against poor old First bus. How dare Go Ahead pick on First and try to get their routes. GA are portrayed as bullies only interested in profits. (As if First Group are not?). Well, GA ARE the aggressors this time. It was not that long ago that the boot was on the other foot. First introduced services against Citybus when the council had put them up for sale. In both cases the main motivation seems to be to protect what is theirs against some new competitor coming in and taking over. When Citybus was up for sale the last thing First needed was someone like Stagecoach coming in and wanting a fight so the tactic was to destabilise the company to put prospective buyers off. When this failed we soon saw the first routes being cut back and all the nice new buses being sent away. So what will happen next. Who will win? I really dont know. The battle for Tavistock will be very hard and Citybus wont find it easy at all. The new Plymouth routes by First really wont affect Citybus that much though. I dont understand the logic behind the new 6 at all. Hopefully First know something I don't! The new man at First Devon Alex Carter has a good reputation and seems to know what he is doing. Can he really turn the company around? I get the feeling that he could, if, and its a very big if, First Group give him the cards to play with. For the record I do hope that First can turn things around. I do like what Go Ahead are doing at Citybus and more than welcome the extra investment they are putting into Citybus – its is long overdue. Many commenters on this blog have expressed the view that we need both companies to survive to keep each other on their toes. If First cant do that then the sooner they sell up to someone who can the better for all of us. ©Terry Stapley 19 July 1988 Western National 21A to Plympton. Weve reduced the prices of our Plymouth and Plus Day, Week and Month tickets and extended our PLUS zone to include Tavistock and Horrabridge as well! The Plymouth zone includes travel within Plymouth and the city centre plus Plymstock, Torpoint and Saltash. The Plus zone includes the Plymouth zone (above) plus Tavistock, Yelverton, Rame, Cremyll, Wembury, Ivybridge and Lee Mill. As well as reducing the prices of our Plymouth Zone and Plus zone tickets weve also extended the Plus zone to include Horrabridge and Tavistock. This offers bus users in Tavistock a significant saving on their travel. Previously they'd have to buy a FirstDay Tavistock ticket at £6.35 (now it's £4.50), a FirstWeek Tavistock ticket at £26.50 (now it's £20) or a FirstMonth Devon ticket at £99 (now it's £60). Graham, congratulations on 2500. An awful lot of hard work. Always something of interest with just the right amount of controversy and often a tempting hint of things that might be coming. Thank you for keeping this informative and interesting blog going. We should thank those who allow you use of their pictures to illustrate the blog. I'm sure there will be much more of interest to discuss in the coming months!! Congratulations on your 2500th post, Graham. With Busing taking an unexpected sabbatical from his Omnibuses Blog you're now my No. 1 read! I have to completely agree with your comments regarding the Plymouth "bus war". I really don't understand the vitriol against PCB. Have people forgotten Ugobus? First only has itself to blame. While the likes of Stagecoach and others have invested in poorly-performing areas, FirstGroup have deliberately starved their poorly-performing companies of investment and run them into the ground thus, surprise, surprise, their financial performance just gets worse and worse. First ends up treating its passengers and local staff with contempt. For example, First said it was impossible to make money in North Devon, yet Stagecoach have introduced 21 brand new deckers in this apparent no-hope area. I have some hope for FDC with Alex Carter in charge and really hope it succeeds, at least in Cornwall where Western Greyhound is sadly retrenching. However, with not a single bus having been repainted for the last two years (bar the GWR Dart) and daily breakdowns of an ever-more decrepit fleet I remain to be convinced. Keep up the good work, Graham! Congratulations indeed. And some very good points to ponder in this post. Why has Stagecoach escaped much of the venom, especially as it will presumably operate the X80/X81 from Torquay? Perhaps it's because "going for Gold" is a killer move which everyone knows First cannot match. Also, competition on the X80 was inevitable before long. If it hadn't have been Stagecoach it would surely have been Citybus. "We're introducing a couple of new tickets which are only available on Stagecoach Gold and our X38 service. £15 1 week Plymouth Megarider - 7 days of unlimited travel within Plymouth, including Ivybridge. The Ivybridge 'Duo' - this gives 2 people a return journey between Plymouth and Ivybridge for the price of 1 - just £3.00!" On Tavistock, Citybus will surely have to match First's fares, at least to start with. And surely the new Enviro 400s should be launched not in Royal Square but in Tavistock? Perhaps the best outcome in the medium term would be a draw between the two operators in the Plymouth area. If so, there could be the potential for more "mature" competition as in Sheffield or (before the partnership) Oxford. Anybody else find it odd that First appear to give in really quickly to Stagecoach but are going all out to defeat Citybus? I have heard rumours around this was agreed between First and Stagecoach.. Perhaps if First can turn Plymouth around, Stagecoach might be interested in taking the operation over in return. Stagecoach seem also to be very competetive on the Citybus 45 route between Plymouth and Ivybridge, even touting for business in the city itself! Seems to me that Citybus have started this 'war' and now other operators are gatherimg around their ops. If you were First would you want a fight with both Stagecoach and Go Ahead at the same time? The X80 X81 is a loss maker, so its an easy decision. Forget the conspiracy theory. So Stagecoach think they can make it work with a huge investment in vehicles...maybe they can, but then again maybe they can't. they haven't seen the books, so its a gamble for them. perhaps they just decided that it was worth the gamble or costs to keep Go Ahead away from their Devon operation??? 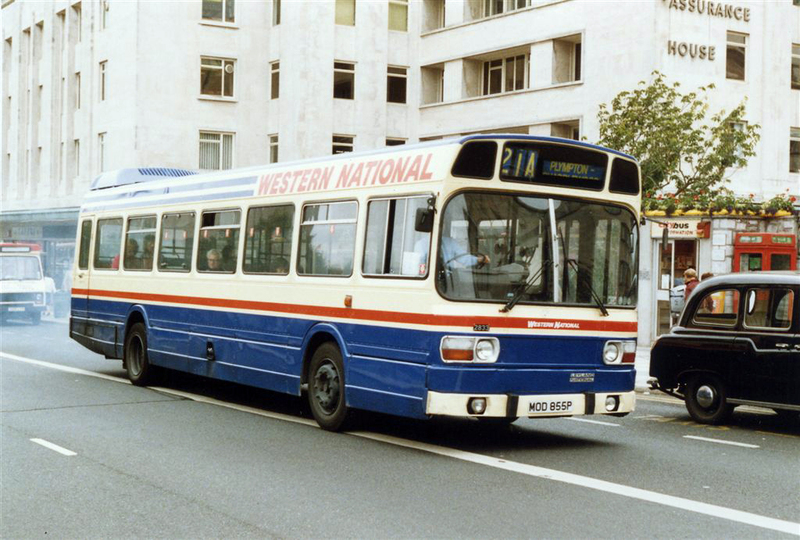 Stagecoach ran their own Paignton-Plymouth service just a few years ago. They'll have a good idea of the likely figures and I'm sure they know exactly what they're doing. They'll be looking to grow both patronage and the market itself and they'll do things the 'Stagecoach way' as we're already seeing with the pre-start launch events. They won't run the route as First has done and take their eye off the ball, they'll be on top of everything and they'll stay on top of everything. Why would Go-Ahead be looking at competing with Stagecoach elsewhere in Devon? They have no facilities from which to do so and no easy way of getting a foothold. Taking on Stagecoach Devon (as opposed to what was a potentially wounded First operation in Plymouth) is a completely different ball game compared to what is kicking-off in Plymouth. There's also a new map on that page, including Mount Batten. I'm thinking PCB might be adventuring that way....? That is a big reduction on the £6.30 adult £4.80 child they originally planned! And yes that map shows Mount Batten however it does show lots of other unserved roads that have just been put in. If it was a coloured map it would be easier to see what with each route having its own colour - for example, Larkham Lane (the bottom bit), Merafield Road, Cot Hill, Underwood (Dark Street Lane etc) Forder Valley Road, Novorossick Road are all shown on the map but are not served; I can only assume these have been put in just to make it easier to see where places are on the map. Could be wrong though! Citybus have just announced details on their upcoming service changes; 27 to split with an hourly 27A to Mainstone, Evening 43B withdrawn (must be withdrawal of council funding) and replaced by extra short 29s to Transit Way, evening 27/28 withdrawn replaced by 28B like it used to be, and school services 104, 109, 115 and 142 withdrawn. New 103 replaces the 109 and 115.